TERMINATOR TRIVIA Volume 7: Cool Facts you may not know about the Terminator Franchise! 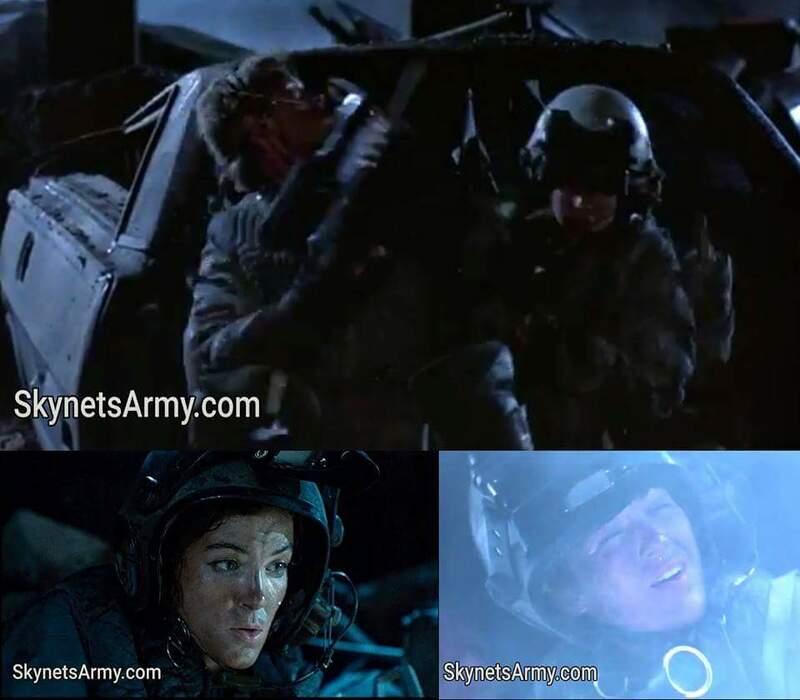 Did you know that in the 1984 film “The Terminator”, the unnamed female resistance fighter who fought along side Kyle Reese (in Kyle’s flashback dream) was played by no one other than Linda Hamilton’s stunt double Jean Malahni? Unlike her character who met an explosive demise, Jean lived to tell about! THE FIRST WAS STILL THE BEST! Did you know that for 1984’s “The Terminator” there were different designs considered for the T-800’s Endoskull? When it came to bringing the T-800 from concept art to the screen, writer & director James Cameron had a design in mind. Yet, always open to suggestions, Cameron challenged Stan Winston’s design team to use their creativity and produce their own Endoskull heads. Using clay lifecasts of actor’s Arnold Schwarzenegger head and neck, artists carved them down to produce some very stunning results. 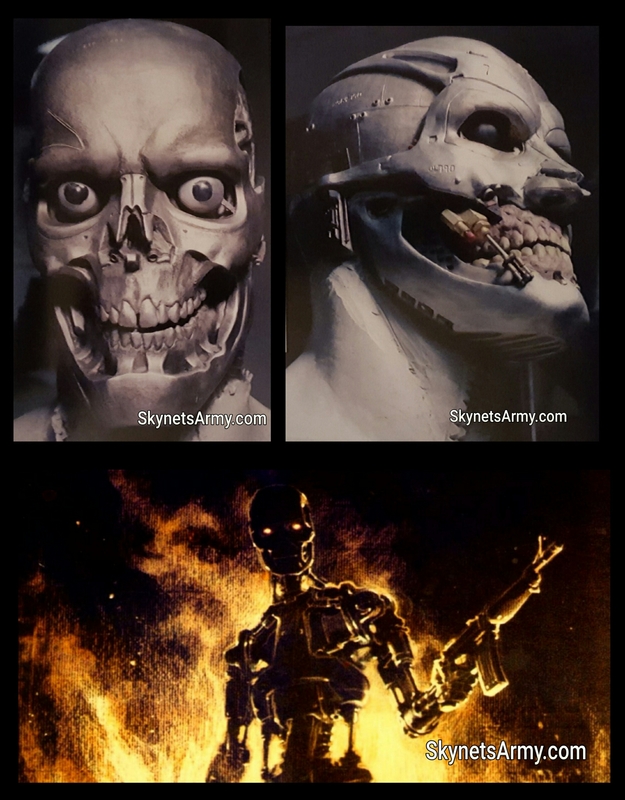 However, like with most things, James Cameron’s ideas were simply better than the rest.. and the final T-800 version Cameron approved was almost identical to the way he originally envisioned it. Did you know actress Linda Hamilton would have returned as Sarah Connor in “Terminator 3: Rise of the Machines” if Sarah’s part (and the script) would have been written better? Even though in 2002 Linda Hamilton was currently seeking acting roles that were off-type from the strong female action heroine lead she was usually typecast in and somewhat reluctant to fill Sarah Connor’s shoes once more, she did actually meet with T3 producers Mario Kassar and Andy Vajna to discuss returning to the Terminator universe. 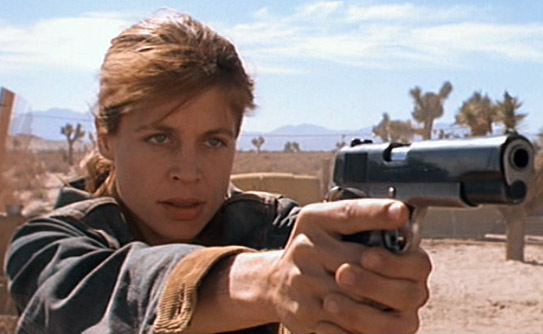 Knowing Linda Hamilton would have returned if the writing was a higher quality, we are certain there are many Terminator fans that wish they could travel back in time to convince the T3 creators to have written Linda a better character arc. A MISSING MOMENT IN TIME. 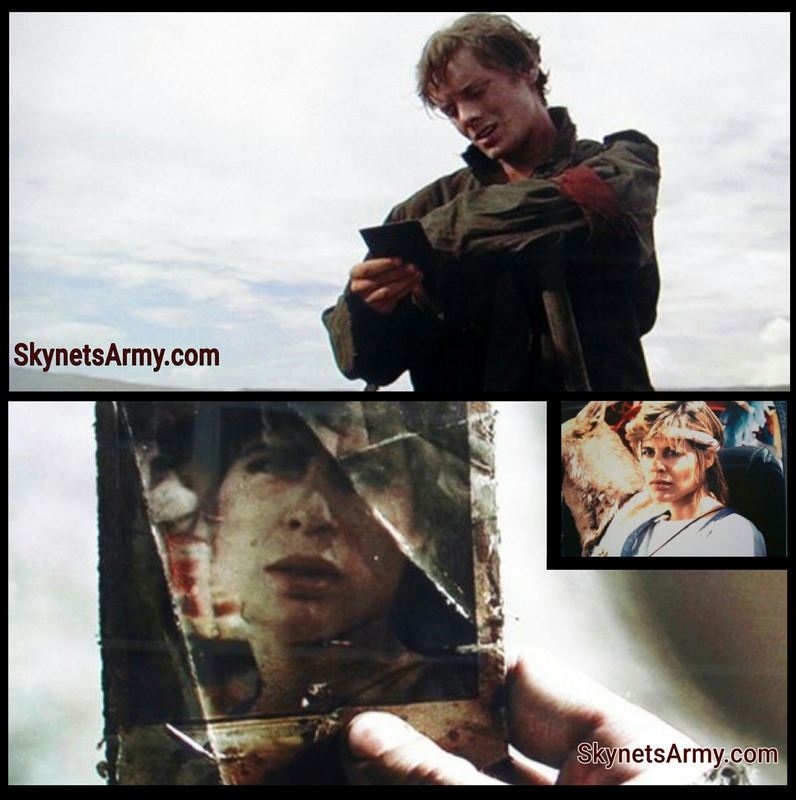 Did you know that there was originally a scene filmed for “Terminator Salvation” that had Kyle Reese looking upon the infamous 1984 gas station photograph of Sarah Connor, for the very first time? 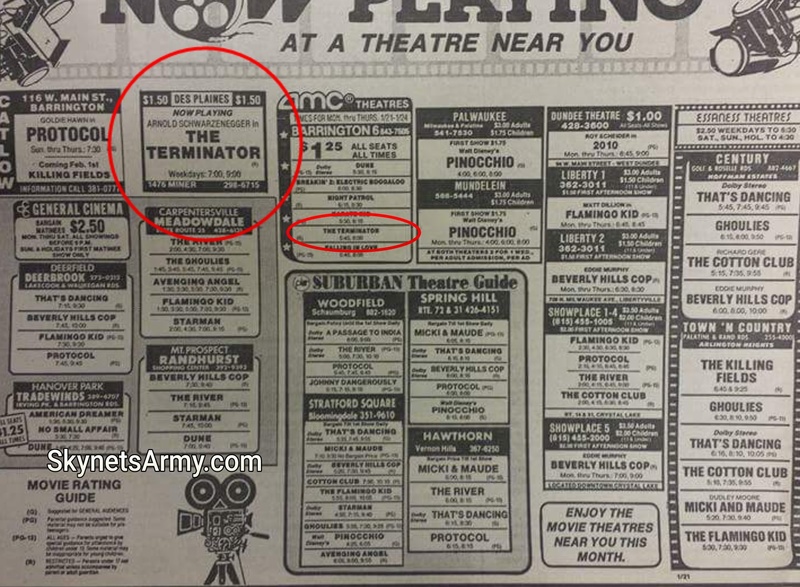 Did you know that back in 1984 you could buy a movie theater ticket for “The Terminator” in the United States for as little as $1.25? And some theaters you could see it for just a buck ($1.00)? It makes you want to time travel back to 1984, doesn’t it? We’ll be back… with Volume Eight! Previous PostUpdates & Merchandise for “TERMINATOR 2: JUDGMENT DAY 3D” Chinese mobile MMORPG & VR games!Next PostUnboxing & Review of “THE TERMINATOR” HDzeta Gold Label Blu-Ray Steelbook Lenticular Edition! In the shooting script for “The Terminator” we read, she was never named. She was referred to as “teammate” and “girl”. We believe the novelization was written after the film’s release so naming her could likely have been an effort to flesh out the novel adaptation a bit more by Randall Frakes or possibly Will Wisher.